Virtually every business in New Jersey is regulated in some way, shape, or form. Accounting firms are regulated by the Department of Law & Public Safety and regulations require accounting firms to have certified public accountants. Home improvement contractors are often required to be registered with the Department of Labor and Department of Treasury. Health clubs are required to register and issue a security bond with the Department of Law and Public Safety. Restaurants are regulated by local health departments. However, businesses which involve the transportation, storage, or disposal of solid waste are some of the most regulated and highly scrutinized businesses in the State of New Jersey. Solid waste haulers or transporters are regulated by the New Jersey Department of Environmental Protection (“NJDEP”), Division of Solid Waste Management and/or the Division of Solid & Hazardous Waste Management. However, first, for tax and liability purposes, a business will generally form a company or business entity (such as a corporation or limited liability company). In doing this, the company will likely file for a Certificate of Formation and a request a FEIN (or Federal Employer Identification Number). Next, a waste transportation company – like virtually every business operating in New Jersey – must be registered to do business in the State. That registration must be completed with the New Jersey Division of Revenue and Enterprise Services (also referred to as the New Jersey Division of Commercial Recording). Then, the waste hauler may proceed with applying for an A-901 License with the NJDEP. This application is involved and complex. It can take a year for the application to be completed and approved. All owners, directors, and key employees must complete sections of the application and submit to fingerprinting and background checks. In some situations, if the company is leasing vehicles for the business, the lessor of the vehicles needs to submit documentation. In other situations, where there are parent companies or owners own interests in other companies, those other companies must submit documentation as well. 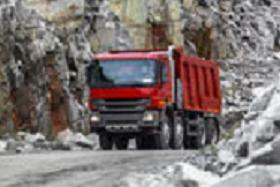 The NJDEP has a list of disqualifying offenses for waste haulers. For example, if an owner of a waste transportation company has been convicted of arson, burglary, forgery/fraudulent practices, racketeering, murder, etc., the company’s request for a license may be denied unless the individual establishes rehabilitation by clear and convincing evidence considering various factors. Still, that is not the end of the process. Once approved for the A-901 License, a company may still need to obtain a Certificate of Public Convenience and Necessity. which requires a separate application and approval. Then, the company can (and must) register as a solid waste transporter with the NJDEP. If the company is transporting hazardous waste, additional submissions and/or permits may be required. Further, if there is a solid waste facility for storage, disposal, recycling, etc., additional rules and regulations apply. Indeed, there are many pitfalls and intricacies involved in the compliance process for solid waste transporters. McLaughlin & Nardi, LLC’s attorneys are experienced with navigating the laws and regulations for solid waste transporters and can assist a company from corporate formation through licensing, registration and beyond. To learn more about what we may be able to do to help, please visit our website, or contact one of our New Jersey lawyers by e-mail or telephone at (973) 890-0004.